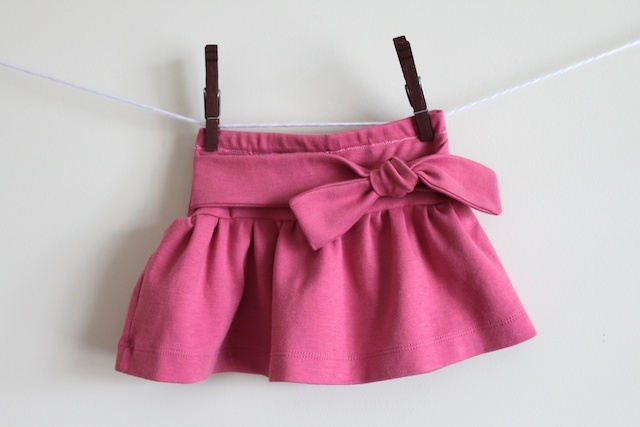 Knot-me tie skirt was made for my little Elle. I love putting her in a little skirt. She’s adorable in poofy skirt. And it is adequately named knot-me because my little Elle is always getting into things she is not supposed to and giving me the it wasn’t me look. You know the look. Innocence. 1. Cut the shirt. 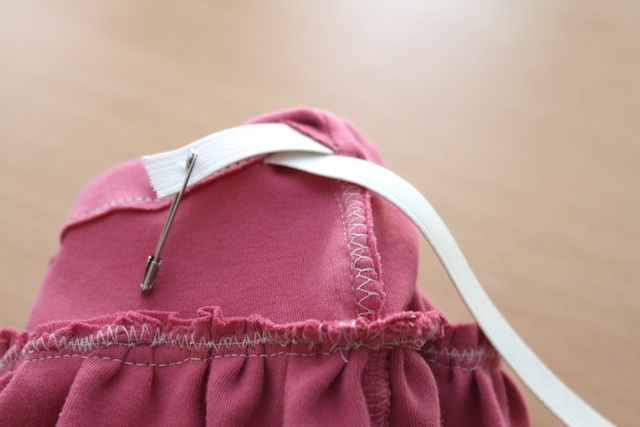 Use the bottom of the shirt for the bottom of the skirt to save you hemming time. 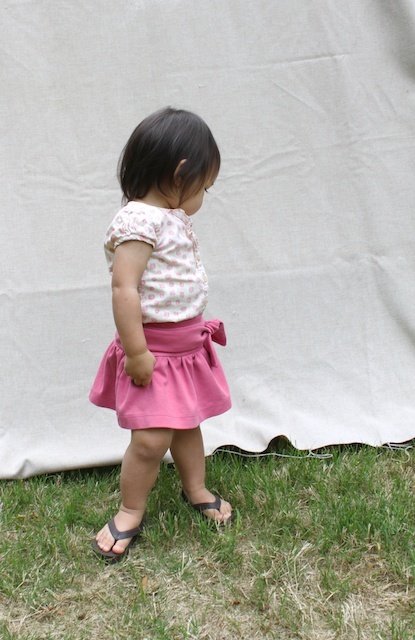 The best way to figure out the size is to grab a skirt of your child’s and measure the waist and length. I provided my measurements for a 12-month size and you can use that to figure out your measurements if that helps. * Note: In the picture I didn’t cut the top pieces to 9 inch length yet. 3. 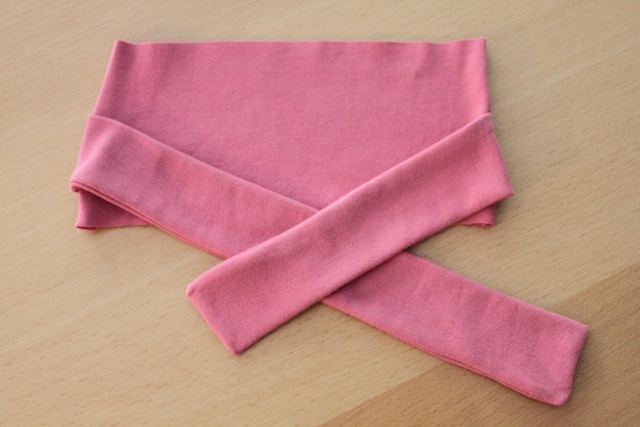 Take the 2 tie pieces (they are different sizes) fold in half lengthwise and iron it wrong side out. 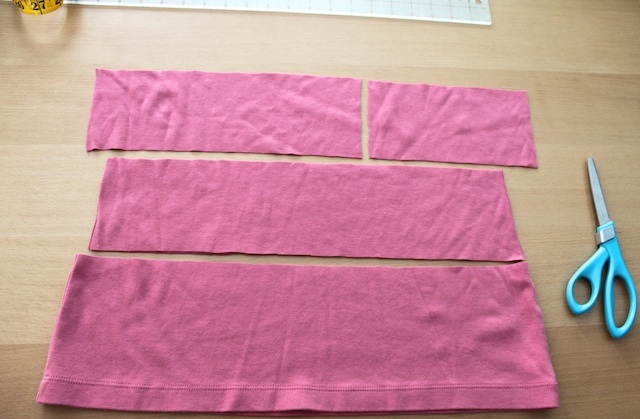 Then sew one short side and the open long side. 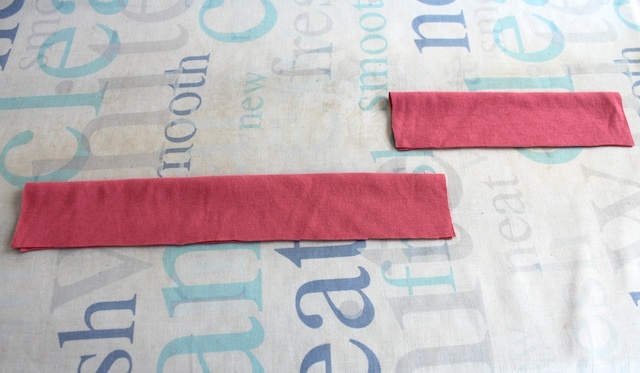 Cut the corners at an angle so it will iron flat when you flip right side out. 4. Flip the ties right sides out then iron flat. 5. Pin the ties to the top pieces. Allow room for the elastic casing. I pinned the top of the ties at 1 3/4 inches down from the top of the piece. 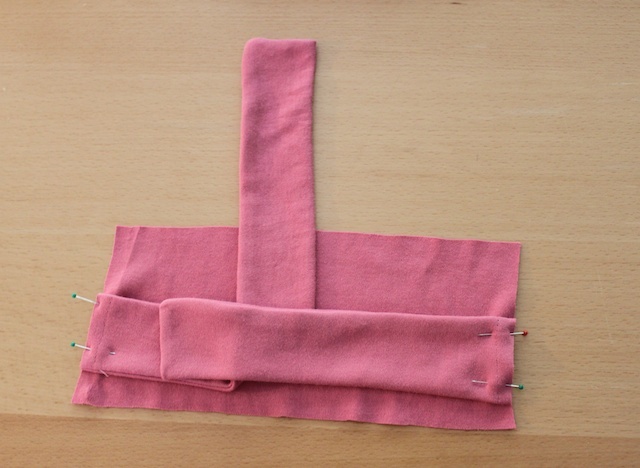 Place the second top piece on top of it and sew the two edges. Since I don’t have a serger, I zig-zagged over the seam to keep it all in place. 6. 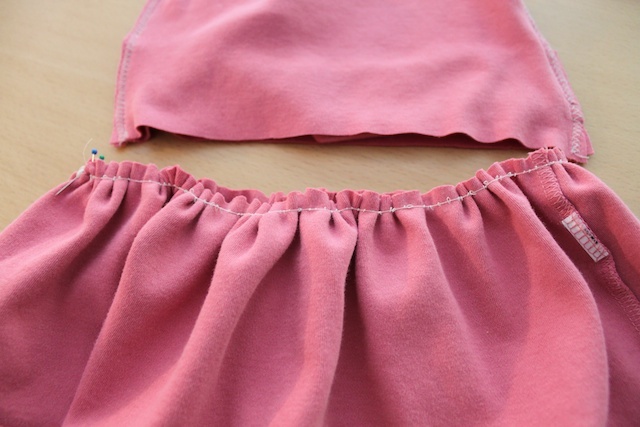 With the bottom of the skirt right side out, do a basting stitch at 1/4 inch from the top. 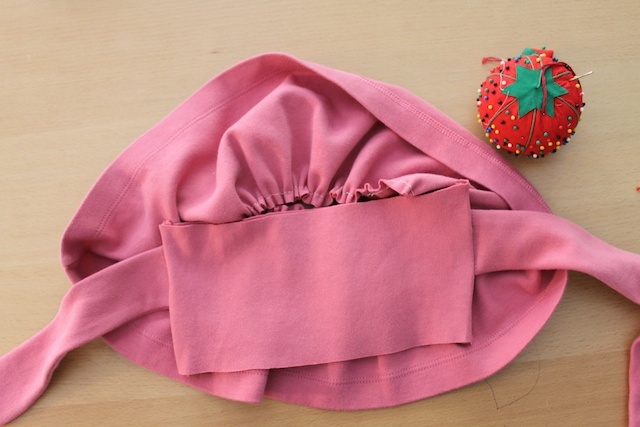 Then gather the skirt to fit the bottom of the skirt top piece. 7. With the skirt top piece right side out, match the bottom edge of the skirt top piece to the gathered edge of the skirt bottom piece. The skirt top piece is on the inside of the skirt bottom piece. Pin it in place. 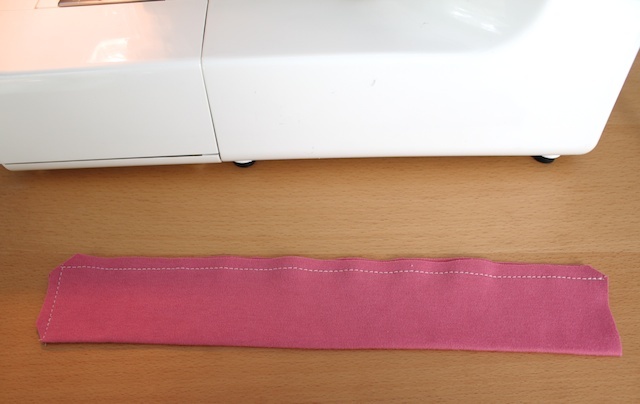 Then sew it in place with a straight line with a 3/5 inch seam. 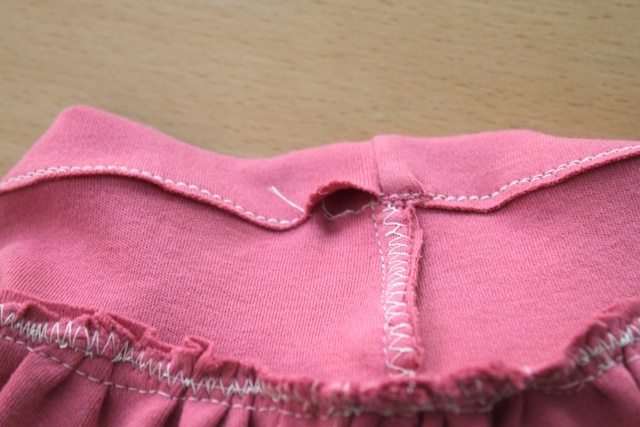 Then zig zag stitch over the seam. 8. Iron the 3/4 inch seam for the elastic casing into the inside of the skirt. 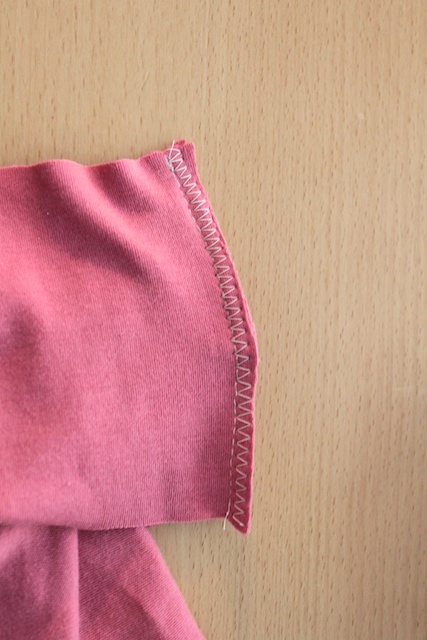 Sew it all the way around, but leave a slight opening to put the elastic in the casing. 9. 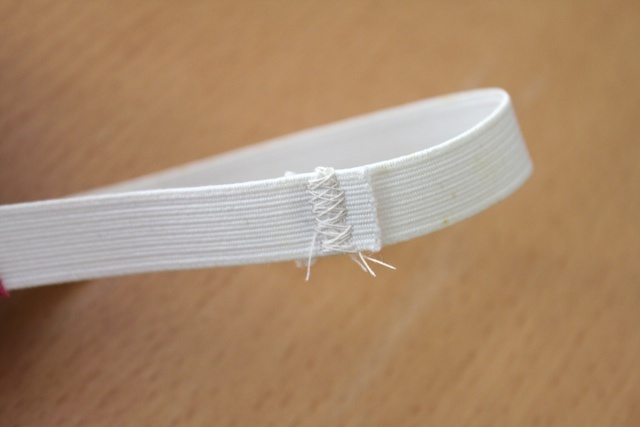 Pull elastic through the casing. 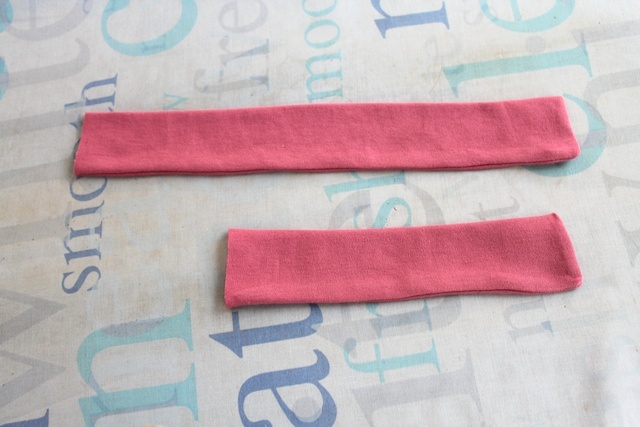 Then sew the ends of the elastic together. Pull the elastic back into the casing then sew the hole close. 10. Tie a knot by doing a square knot or in my case I think I did right over left then right over left again. You’ll have to play with it to get it just right. 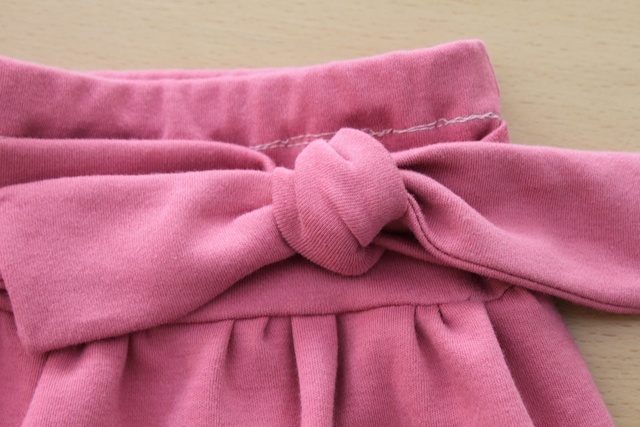 Then Sew the knot to the skirt through the inside of the skirt so it doesn’t get weighed down and droop. And you’re done. That is adorable. 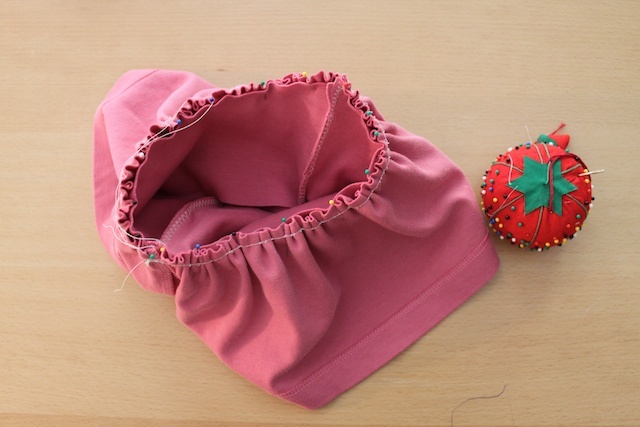 I so want a baby girl to sew for – 2 more weeks to find out! I love the re-purposed ideas! 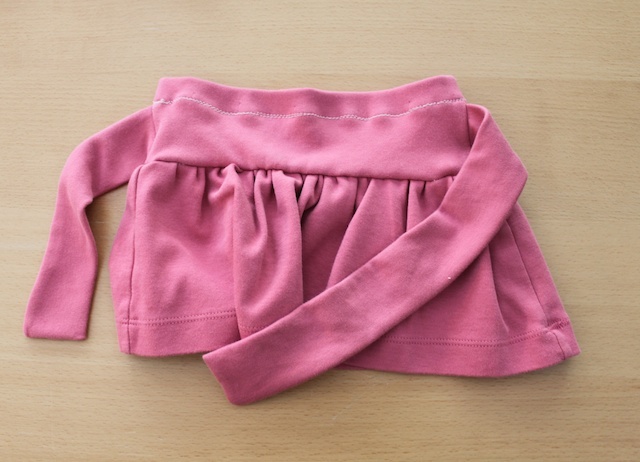 Kind of makes me wish I had a little girl to sew for! (I said kind of…let’s not go there). This is adorable! 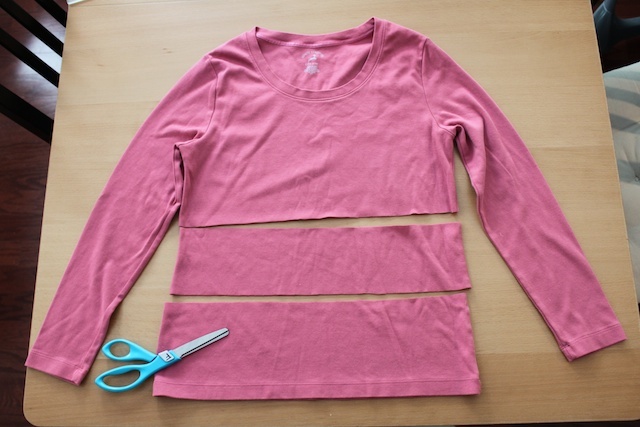 I think I could even do this for my 3 yo, by using a larger size shirt… Great idea and awesome tutorial! 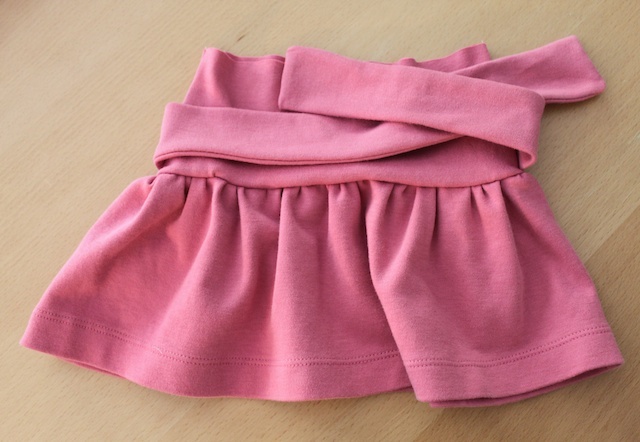 cute, cute skirt. I may have to try this out for my little niece. Great repurposing project. The skirt look adorable on Elle. Oh my word this is so clever. Oh My, I’m hooked on this site. Help! 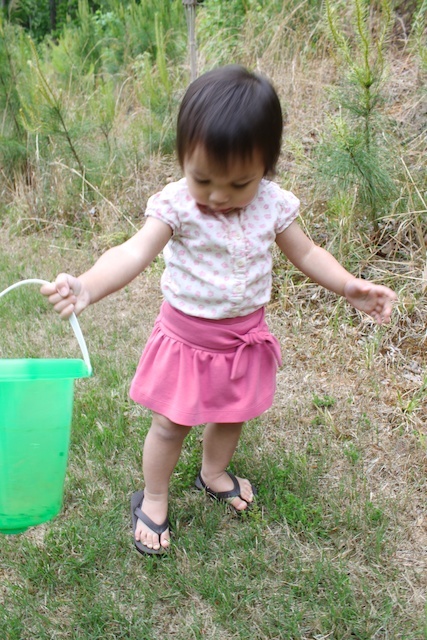 Well, thanks to Kari at UCreate, I’ve found another great blog! And, Oh, I do love a good re-purpose! CUTE, CUTE idea!! In fact, they all are!! I love this idea! Thanks for the great tutorial! Oh My this is way to cute! I made it for my daughter tonight. I bout a cut polka dot shirt from walmart that was on clearance a few weeks ago and ive been trying to come up with something to make with it for my daughter. It was so easy really took me 20 min! I added some pics to the flicker group. I might make just a few more for summer! This is so cute! I can’t wait to make one for my daughter. Thanks for the easy tutorial. Absolutely adorable!!! I am featuring you on my blog today! Please come by for a visit! its marvelous idea… i just realize that u are using old shirt for nice skirt… its very motivatin’idea. I love all the patterns but I am trying to print out the tutorial for the knot me tie skirt and cannot print it. do you have any suggestions? are you trying to print the tutorial from your internet window?